A scrub brush or anything that allows scrubbing. Mix the bleach and baking soda together in a bowl. Form a thick paste. The bleach will almost do all the work by just sitting there. After 12-15 minutes, scrub it with scrub brush to really push the cleaner deeper into the grout. Now, Wait another 10-15 minutes before rinsing the cleaner off. It is to be kept in mind that grout does sometimes turn darker when it’s wet. So if you’re not completely impressed with how sparkling white your grout is not, right after rinsing it, keep it for a few hours to dry. This method will clean your tile and grout in almost as good way as you might get when you’d call in professional grout cleaning services. You’re using bleach. Wear old clothes or something you don’t care if it gets spoiled. Wear gloves to protect your hands from burning and irritation. Keep the space ventilated or wear a respirator to safe keep your nose, mouth, and lungs. Wear safety glasses for your eyes. You could do your grout cleaning own your own or you can to save hassle and time call a professional Grout Cleaning Services. 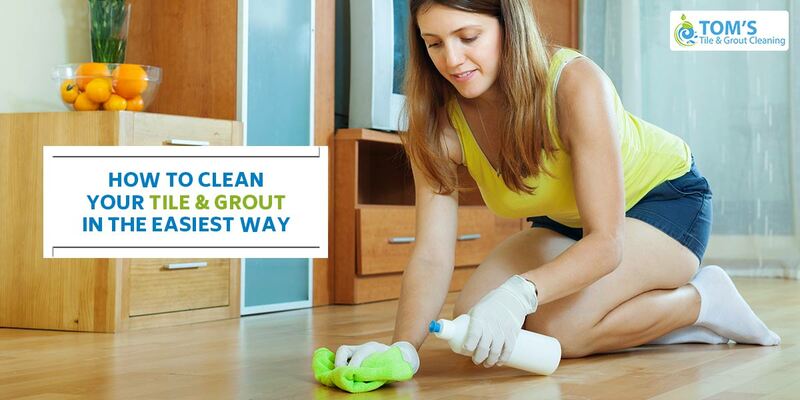 We provide tile and grout cleaning services along with other cleaning services. Toms tile and grout cleaning services in Melbourne is highly sought after also in other major cities of Australia.